Snow-covered cherry tree on Azalea Way. Because of snowy conditions, the University of Washington has suspended operations and canceled classes through this Tuesday, February 12. Building closures include the Graham Visitors Center at the Washington Park Arboretum. The Fiddleheads Forest School in the Arboretum is also closed. 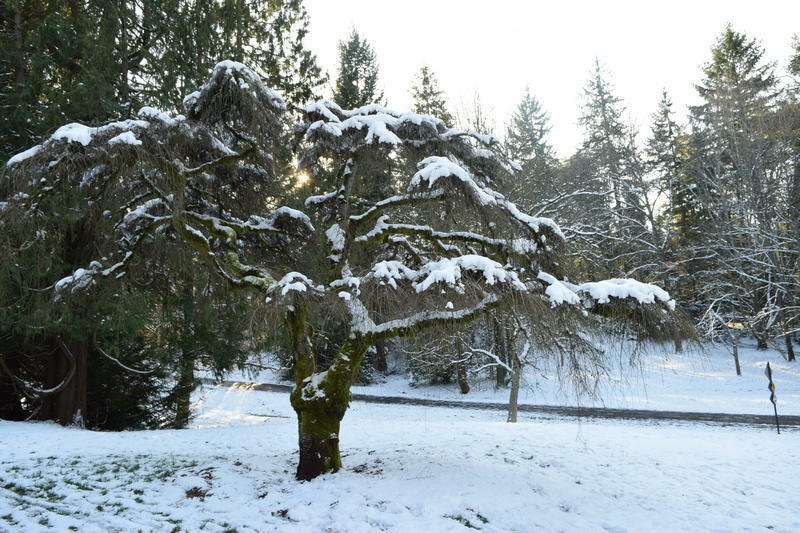 As a Seattle city park, the Arboretum itself is open to visitors year round. Please take care not to step on any plants that may be hidden under the snow.